The work completed was terrific and exceeded my expectations. The outside foundation below the brick was crumbling away and with the repair it looks brand new. Dwight did an amazing job and cleaned up after the work was done. I have had a few jobs done by A&A and I would never call anyone else for masonry work. We have flagstone on our front porch. The stones had become loose and the mortar between the stones had fallen apart. 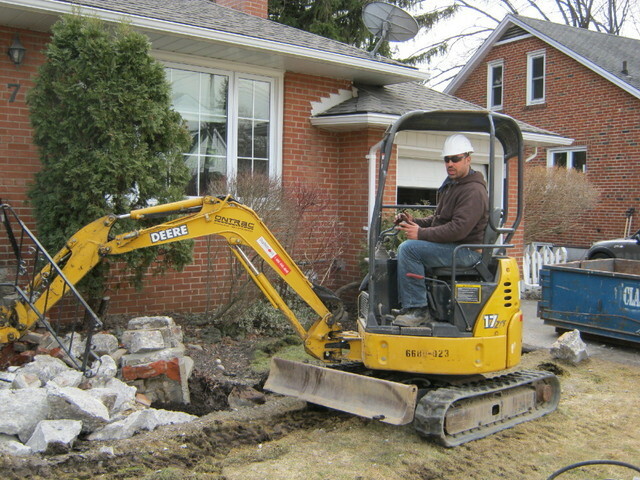 Greg from A&A Masonry came out to give us a quote one day and the work was done the very next day. Dwight came out to do the work. He did a very thorough and professional job. He also did a thorough job of cleaning up once he was finished. We were very happy with our experience with A&A Masonry and Dwight. Quality Workmanship, Great Service, On Budget. 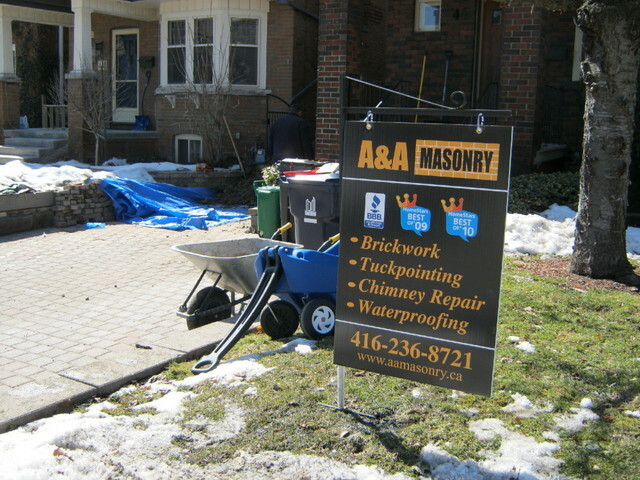 Excellent service and quality repair work by the professionals at A&A Masonry. The entire experience with A&A was user friendly and smooth from quote to job completion. Greg came out to quote and review the job very promptly and gave us a fair price. Dwight was at our home less than a week later and completed the work efficiently and with an attention to detail. Dwight walked us through the entire repair, provided advice to prevent future problems, and cleaned up thoroughly. Thanks again to the team at A&A for a job well done! From start to finish a stellar company. Fast, efficient, and effective. Clear quotes with plenty of extra information so need to ask questions. The only delays were on my part missing phone calls and taking time to make up our mind. 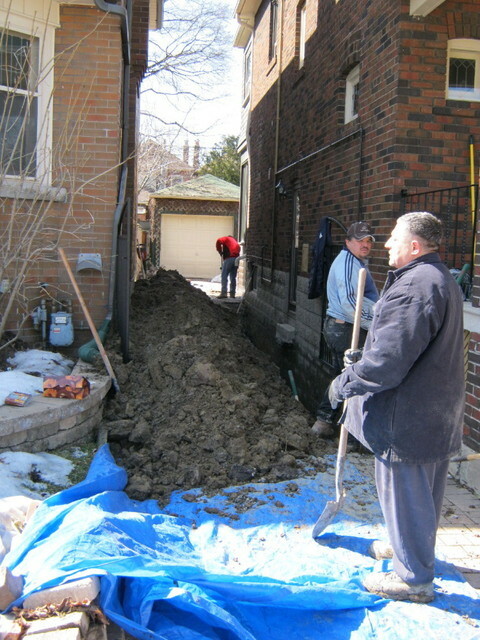 The two workers were amazing - pleasant, hard working, great quality workmanship and cleaned up!! They were recommended by a neighbour who was used three different masonry companies over the years. I had a small wall on my porch removed and that creates a big dent in my front door wall. A&A Masonry was hired to fix the issue along with other small cracks around the house. The job was done by Dwight which treated as his own. The finishing was very well done full of care. He spent more than 5 hours straight to finish the job and came out beyond expectations. Needed some general upkeep on my brick bungalow. A&A Masonry is hands down the most professional company I've dealt with. Prompt service overall, thorough attentiveness and fair and honest estimate from Brad. No gauging, took seriously the pride in my home despite being a smaller repair job. Dwight was the mason who performed the work and I have never seen a work ethic such as his. He came at 9am and stayed to complete the work via headlamp well into the night and finally left at 10:30pm. He went above and beyond in delivering quality workmanship and adding many details and extras that were in addition to that captured in the quote. At the end of the day all of my concerns regarding holes, crumbling brick and parging, cracks and water penetrating issues were more than addressed. When I called back to have it touched up due to the drying process and some other small areas for peace of mind, there was no additional cost and Kyle came the next day and did prompt, courteous and thorough work in approximately an hour. I've dealt with tens of companies and contractors over the years and by far this was the most refreshing and satisfying experience. They treated my home like a valuable asset, while not gauging and that is what I am looking for. Highly recommended. My work details are as follows: I had recently purchased home that needed a door in the kitchen to be removed and replaced with a window; a bay window removed and sliding door put in its place; chimney (base) repair. I researched a few other companies before deciding to request a quote from A&A Masonry. I spoke with David V. over the phone and scheduled an appointment. David is a great salesman. He was friendly; built rapport quickly; was easy to talk with on a personal level. When it came to the scope of work he gave me the full suite (most expensive) of options and allowed me to choose what I prioritized as important to determine our scope of work. Most importantly when it came down to pricing he was transparent b/c I had no idea how expensive masonry work was until we started this exercise. Once the scope of work was completed and dates were set I communicated with Andy via email and over the phone. The renovations at the home took longer than expected and each time I postponed our work start he was patient and understanding. Finally, once the start date rolled around I met the installer. His Name is Dwight S. At first I hoped that one of the A&A's was going to be doing the work on the home but after seeing Dwight's attention to detail and his work I knew I was in good hands. Dwight worked through some tough fall conditions and still was able to deliver exceptional results. As an added layer of complexity; I was doing the framing and knock outs myself and had the window installers on-site as well. Dwight was able to work well with all the different crews which; with the wrong people can add tension and friction, however, thankfully this was never the case. I highly recommend the whole team at A&A (including Libby who handled payment) and specifically those mentioned here. I hope this review helps. A&A Masonry did a wonderful job! A&A Masonry did a terrific job. I had a terrible misdaventure with another contractor that ended up doing a lot of damage but A&A came and fixed things up like new. Hayden came directly to my home, did an assessment and gave me a specific quote (that was met right to budget. Mike and April did a great job - it was difficult to find an exact match for the stone but the completed job looks better than new! Thanks Terry! I heard about the ordeal you went through with the other contractor. And saw the pictures. I'm glad we could make it right for you! Amazing experience! Met with Chris on Thursday, and beautiful parging/ window sill repair was done by Dwight before I got home on Friday. Chris was very nice and professional. I didn't have the pleasure of meeting Dwight, but he did an awesome job on our home. Trust these professionals, this job was much less $$, and done much quicker than any other quote we received. Dwight even patched up some other issues he noticed. Thanks to everyone at A&A Masonry. 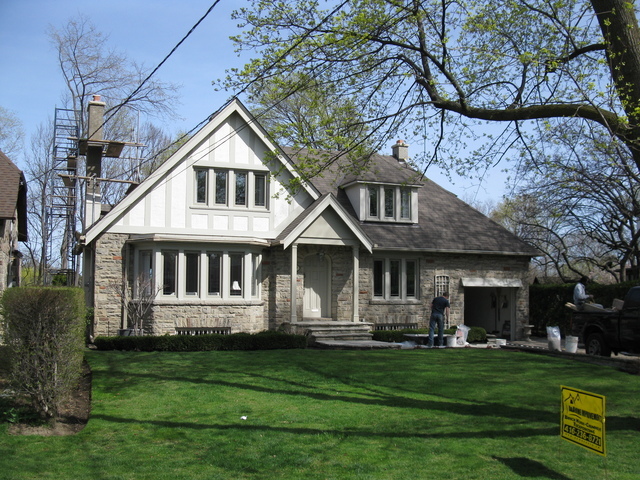 A&A Masonry is an award-winning Toronto based firm specializing in almost everything exterior. 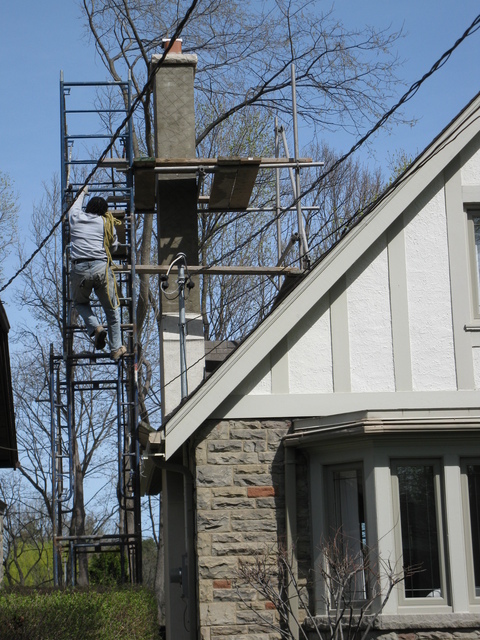 Specialties include Tuckpointing, Masonry, brick repair, brick restoration, tuck pointing, waterproofing, basement lowering, concrete steps, porches and walkways, caulking services (windows & doors), chimney repair, rubberized resurfacing and general exterior restorations for residential, commercial and industrial customers. If we can't do the job, we can refer you to a quality trades person that can! A&A is dedicated to providing the highest quality on every job. With a proud team of qualified artisans, we strive to complete every project in a timely and safe manner. 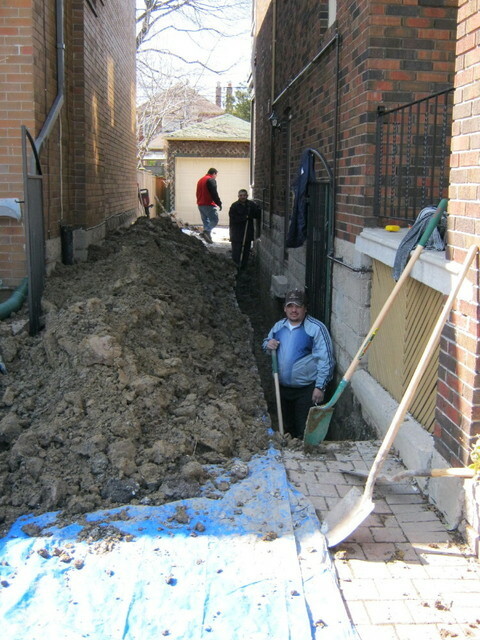 Our mission is to offer a unique and reliable service in anything Exterior within the Greater Toronto Area, differentiating ourselves from the competition by means of always delivering what we promise, on time and on budget. Our commitment to excellence is our core value. Customer satisfaction is our main goal, and we reach it every day by relying on our attention to customer service. By providing customized solutions for every job, we guarantee that we will never compromise on quality, safety and efficiency. This approach together with our experience and knowledge allows us to effectively handle a wide variety of projects, from small to big, indoors or outdoors, renovations or repairs. We service: Toronto, Etobicoke, Mississauga, Thornhill, Richmond Hill, York, North York, East York, Mimico, Hamilton, Brampton, Bolton and surrounding areas. Tuckpointing, Tuck Pointing, Chimney Repair, Chimney Rebuild, Chimney Restoration, tuckpointing, Brickwork, Brick Repair, Brick Replacement, Parging, Waterproofing, Foundation Repair, Concrete Resurfacing, Rubberized Resurfacing, Concrete Porches, Concrete Steps, Patios and Walkways, Flagstone, Cultured Stone, Caulking services (windows and doors), Masonry, Masonry repair, Basement lowering, steps, concrete porches, concrete walkways and patios, caulking services.